Business owners across the UK are being urged by the Environment Agency (EA) to ensure that their premises and equipment are protected against the risk of flooding, which can lead to severe disruption and costs. 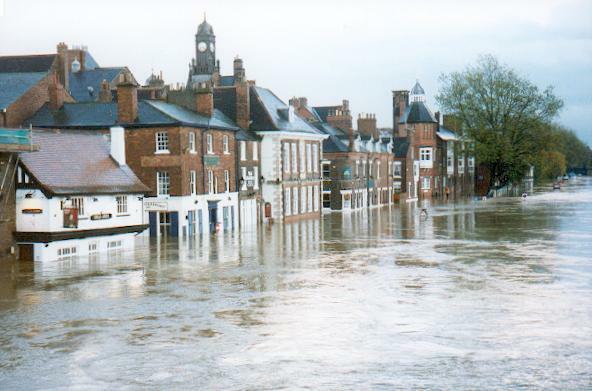 Last winter, the EA reported that more than 4,000 businesses across the country were affected by extensive flooding, which caused many firms to be forced to close their doors and stop trading. The body used the example of a Cockermouth, Cumbria-based toy shop, to show the sorts of steps that businesses can take in order to lower their risk of flooding this winter. Following serious flooding in 2009 when the shop was forced to close for six months while it returned to normal, the toy shop took steps including reinforcing its floor and moving electrical sockets, in order to prevent against more flooding. These steps meant that, when flooding did affect the town in 2015, the shop was able to continue trading just 24 hours afterwards. A recent Federation of Small Businesses (FSB) report revealed that the vast majority - 93 per cent - of small businesses in the UK did believe that severe weather was a threat to their firm; however, only 25 per cent of small businesses had a plan to protect against severe weather. Mike Cherry, national chairman of the FSB said: “Recent FSB research suggests around two thirds of small businesses were negatively affected by the direct and indirect consequences of severe weather and flooding in the previous three years.